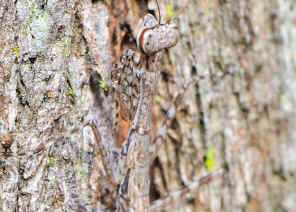 Tree-running Mantid - Ciulfina sp. 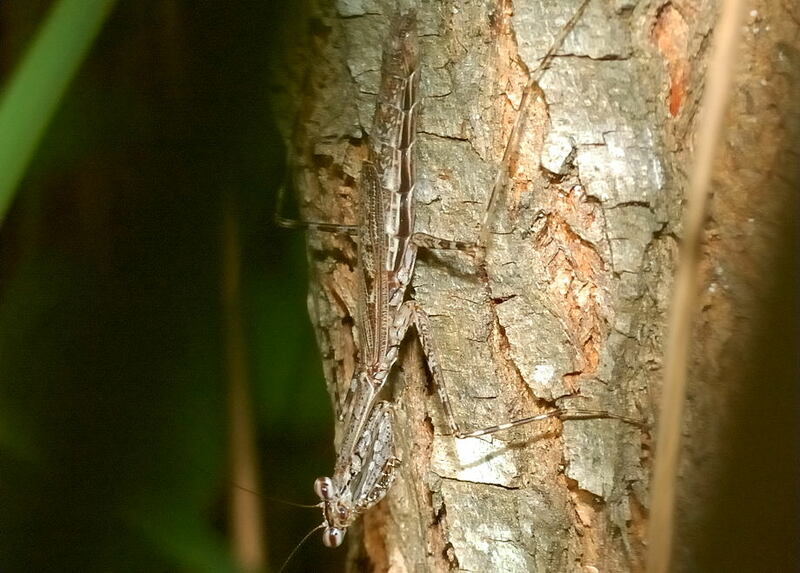 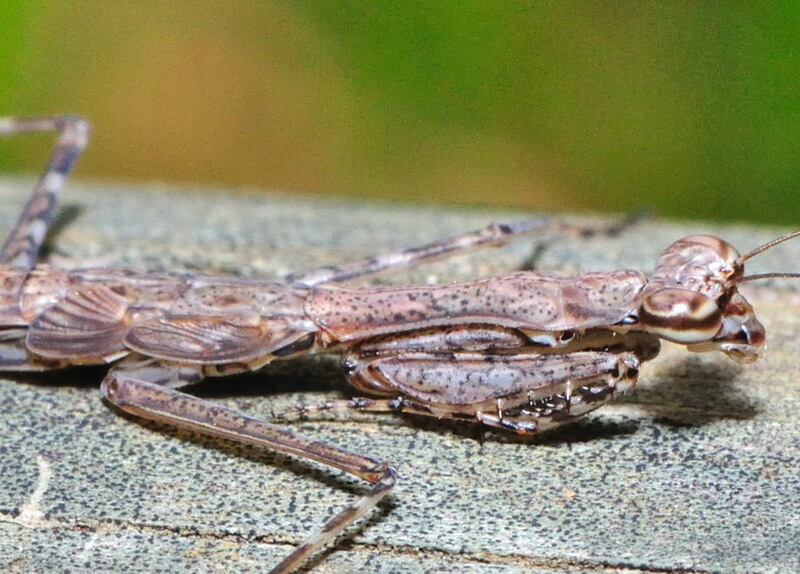 This page contains information and pictures about Tree-running Mantids that we found in the Brisbane area, Queensland, Australia. 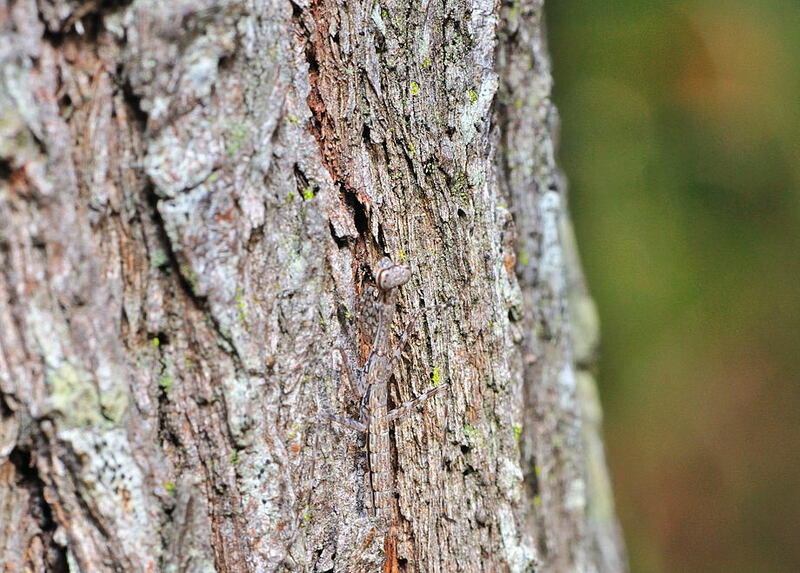 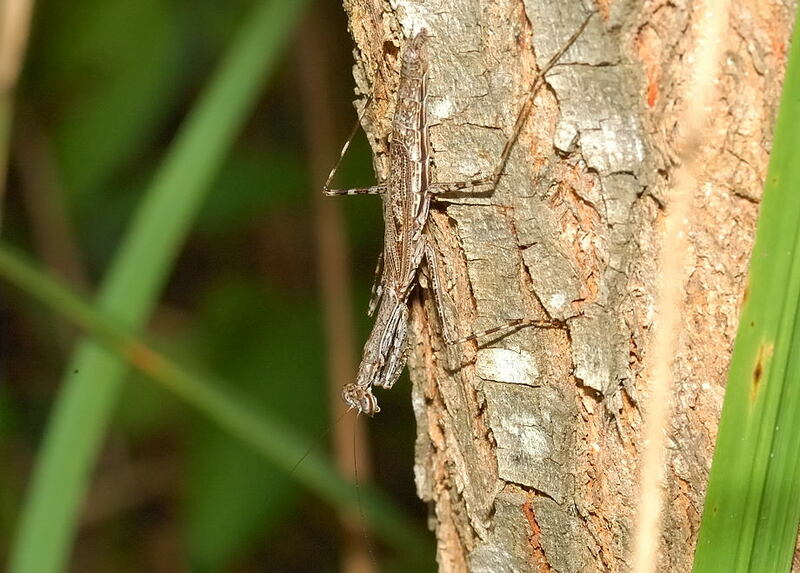 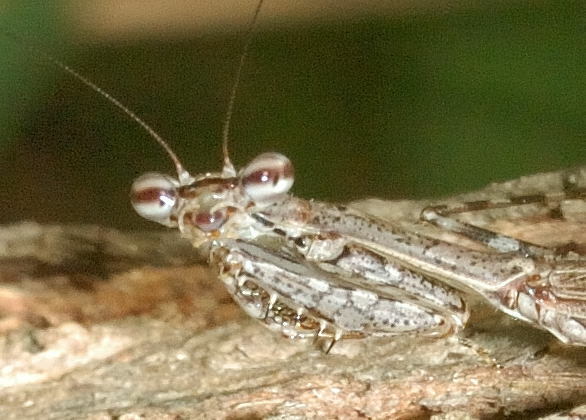 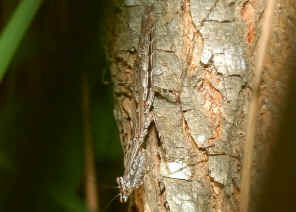 The Tree-running Mantid is pale brown with brown patterns. 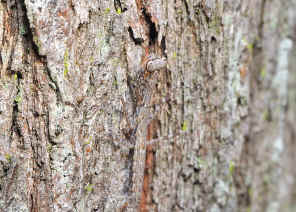 It has the flattened body we believed it is the adoption for moving under tree barks. 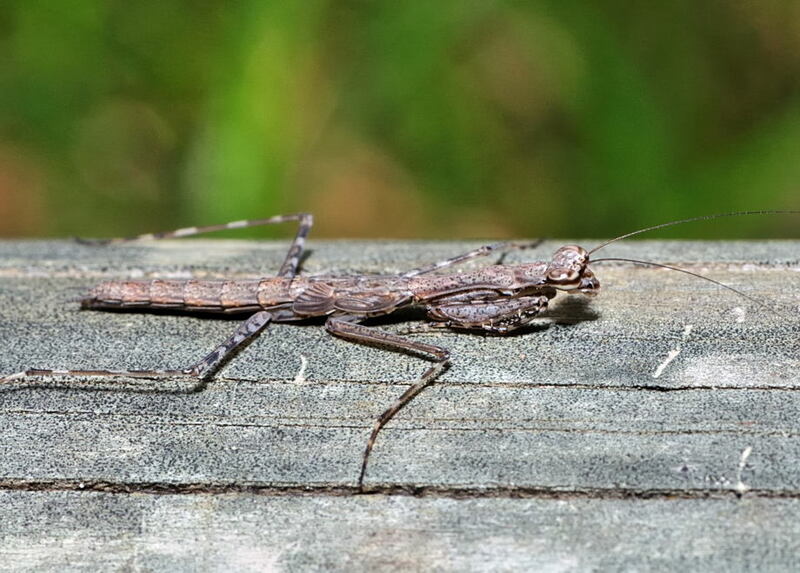 It has very long legs. The legs move sideway when running like a cockroach. 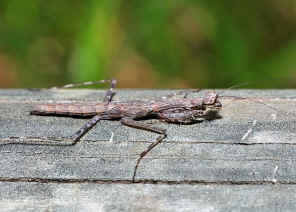 We found this Male adult on Mar 2008 along Bulimba Creek in Wishart. Male are fully winged although they only cover half of its abdomen. 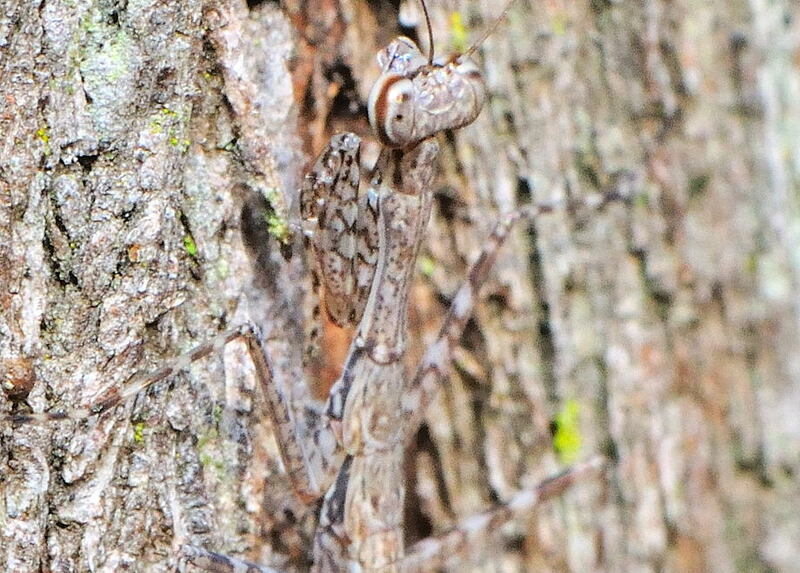 The reference information suggested they will fly (rarely). 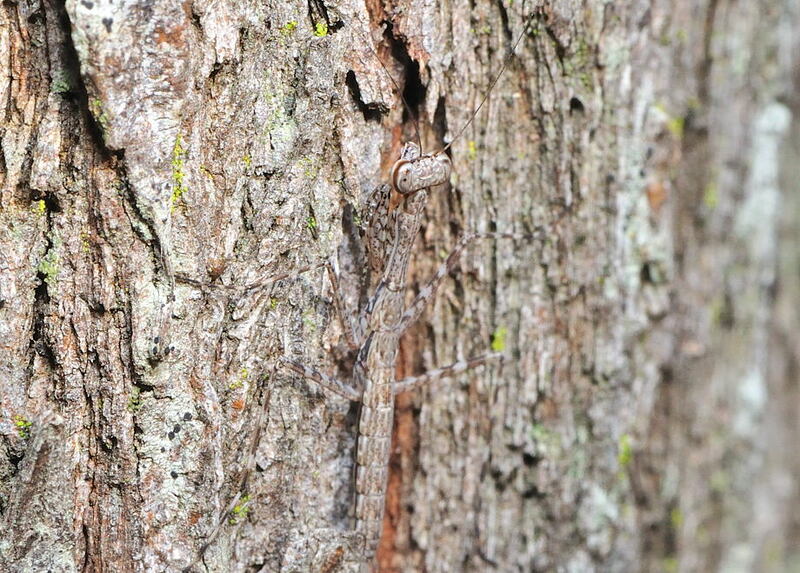 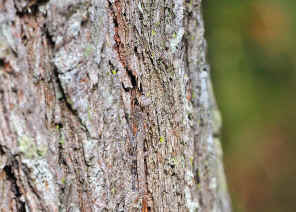 When disturbed, they move to the other side of the tree trunk. 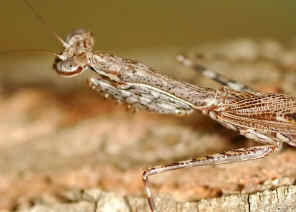 Female Tree-running Mantids have their wings reduced to very small. We found this female adult in Mt Coot-tha on March 2010. 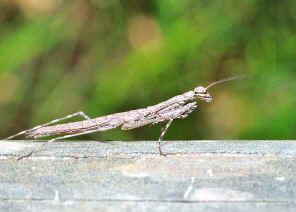 The Nymph photos were taken Toohey Forest on Apr 2010.